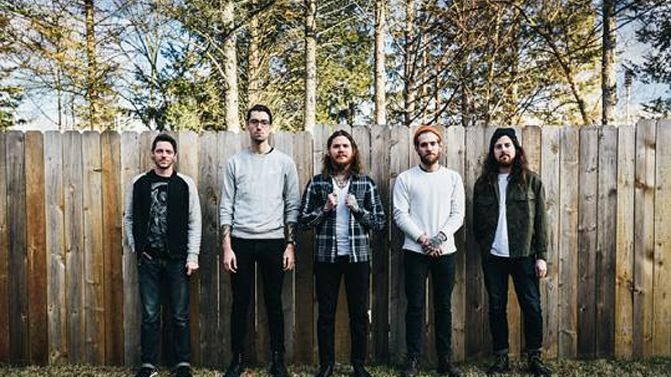 UPDATE 14/11/16: The Devil Wears Prada have unveiled a 2017 Australian tour kicking off in April next year. ORIGINAL STORY: The Devil Wears Prada will be dropping their new album Transit Blues next month, and it turns out the band will be waiting for our deadly summer to die down before making a return to Aussie shores. Vocalist Mike Hranica has told Music Feeds that the band’s Australian return is “on the books” for 2017, and while he doesn’t want to spoil the surprise, Hranica says the tour will be during “your winter, our summer”. So, we can now loosely get our affairs in order for their arrival sometime between June and August next year. The Devil Wears Prada last performed in Australia as part of Soundwave Festival in 2015. At that time they were packing their previous album 8:18, which dropped that same year. Since then, they managed to record and release the Space EP, their first offering since the departure of founding lead guitarist Chris Rubey. So far we’ve heard two tracks from Transit Blues — Daughter and To The Key Of Evergreen. Together, the tracks set up a fairly eclectic sounding album. We’ll know for sure come Friday, 7th October when the album drops. Music Feeds‘ full interview with Mike Hranica is coming soon.